The movie My Soul To Take: trailer, clips, photos, soundtrack, news and much more! My soul to take – What just happened? Wes Craven’s My Soul To Take is released on October 8, 2010. Do you think there will be anyone left alive at the end of the movie My Soul To Take? The most terrifying thing about Adam’s visions is that they’re real! The movie My Soul To Take will open in theaters on October 8, 2010. This teen slasher film is written and directed by Wes craven. 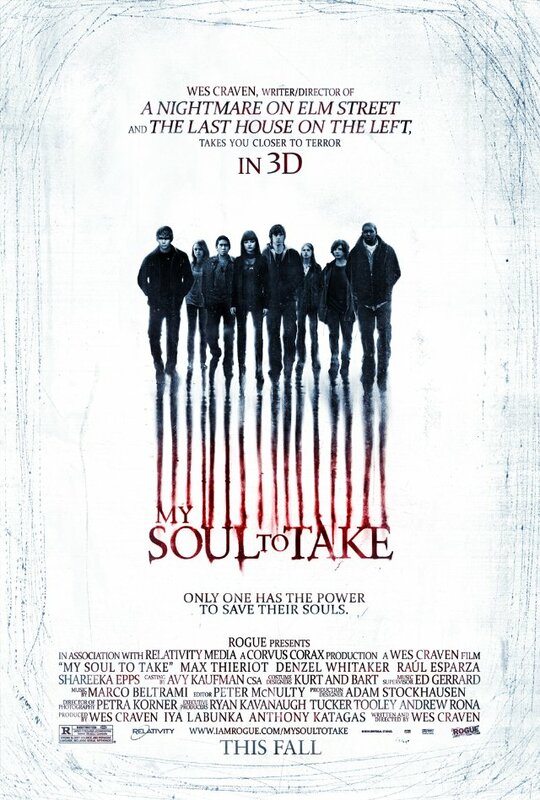 The movie My Soul To Take is starring Max Thieriot, John Magaro, Emily Meade, Nick Lashaway and Denzel Whitaker. It will be released in theaters on October 8, 2010.